It is very cold in space. 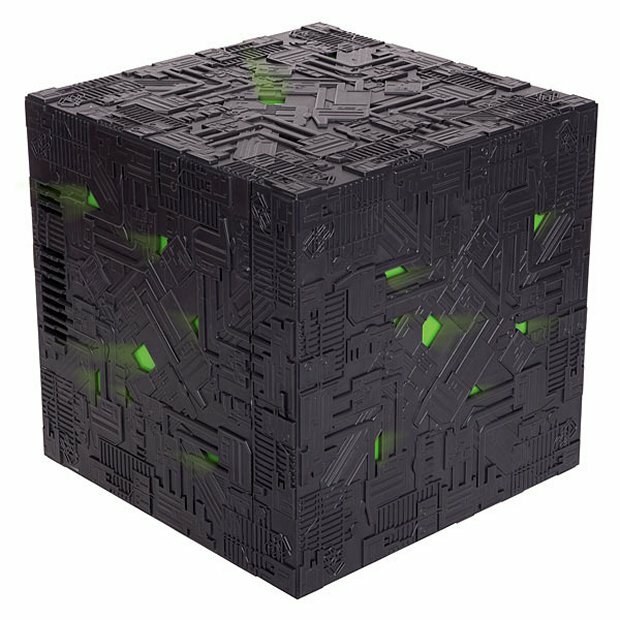 So you can see why a Borg cube would make a great refrigerator. All of those Borg drones in their alcoves? They could be cold beers. 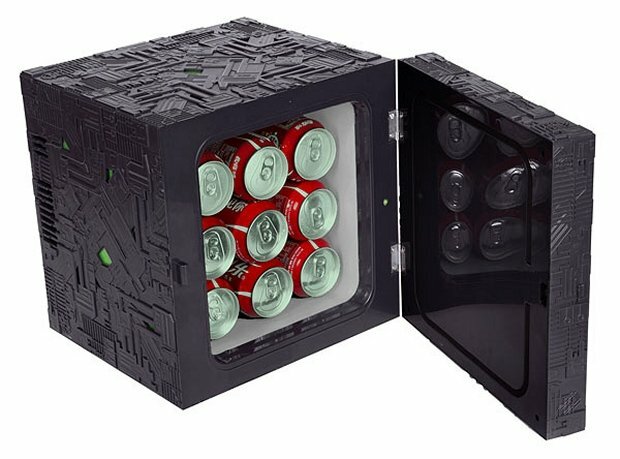 And now they can be thanks to this amazing geektastic Borg Cube Fridge. They really have begun to assimilate our technology. Great. Yet another thing that I MUST HAVE. Resistance is futile. 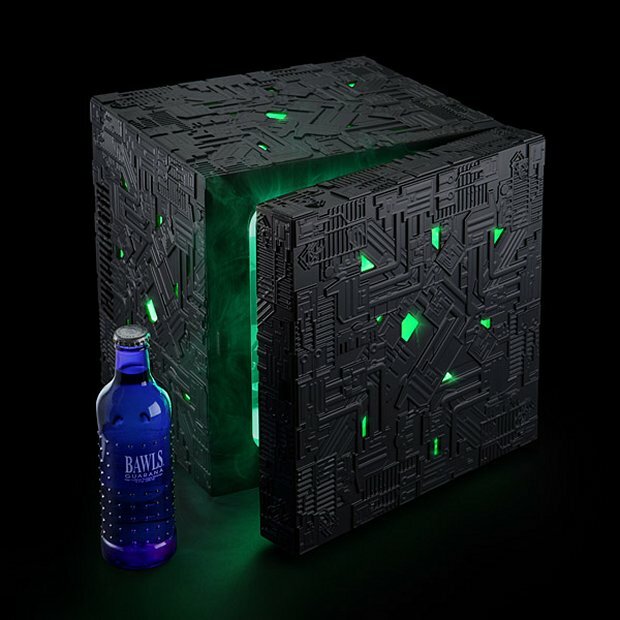 This Borg cube glows green and it is a keeps your beverages nice and cool. It also glows green on the inside! What? I love this thing. At last I have a place that is fitting for my Klingon beers and Romulan ales. From now on I am calling beer “Locutus”. Hey, can you grab me another Locutus from the fridge? This amazing geek box is $149.99(USD) from ThinkGeek.